I am privileged to have built a career in the technology, satellite, communications & digital advertising industries and I have been involved in ground-breaking projects within the sector. I am a recognised thought-leader responsible for crafting innovative digital experiences delivered through our company DigiComm in Dubai. I have a prestigious track record in the technology sector, some of the awards and accolades I have received are listed below. I have also contributed at global seminars through keynote speeches, presentations and panel discussions. 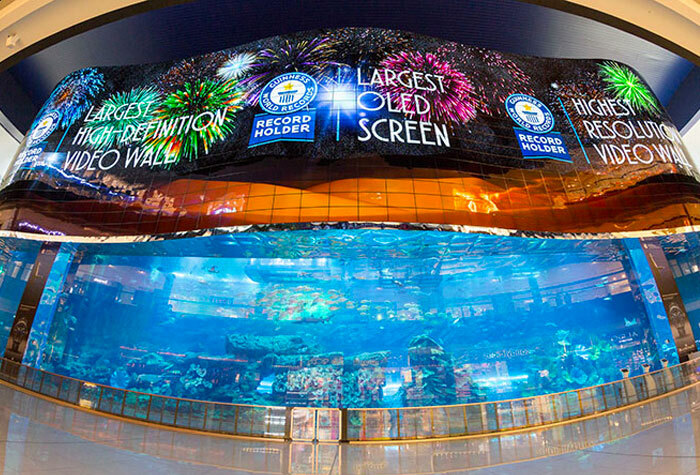 The triple 'World record' 820 Screen OLED Video Wall at The Dubai Mall, Dubai Aquarium & Underwater Zoo wins DigiComm Best use of Display Solutions award at the prestigious AV Tech awards in Europe. DigiComm and BrightSign win the "Best Deployment in Entertainment" sector Award for the Discovery Shark Week Exhibit at the Dubai Aquarium. Discussion on industry outlook for the next three years. Where are the emerging markets? What new technologies will impact digital signage the most? And how will the value chain evolve? Rethinking Entrepreneurship and Ecopreneurship: Fail often so you can succeed sooner. A discussion on how to recover successfully from multiple failures. Discussion on industry outlook for the coming years: Where are potential markets, what new technologies will impact digital signage the most and how will the value chain evolve. An initiave by Dubai Gold Group to utilse DigiComm's large format digital screens in Dubai's Gold Souq, that display real-time gold price, receives Bronze Award at Digital Signage Awards MENA. Global launch of the AISHA Project. An ambitious attempt to avert the learning crisis in Africa using affordable & innovative technology for primary education. In the Spotlight: Empowering Africa - Digital Signage in the Savannah. An outlook at the growth of Digital Out of Home in Sub-Sahran Africa. The Solar Powered Advanced Rural Communication (SPARC) initiative won the Most Innovative Application of Satellite Technology Award at the prestigious Satcom Star Awards 2011. In 2010, I was honored as Africa's Satellite Personality of the Year at the SatCom Star Awards for my commitment to advance and expand Satellite Internet access across Africa. 30+ Years and Still Going Strong! 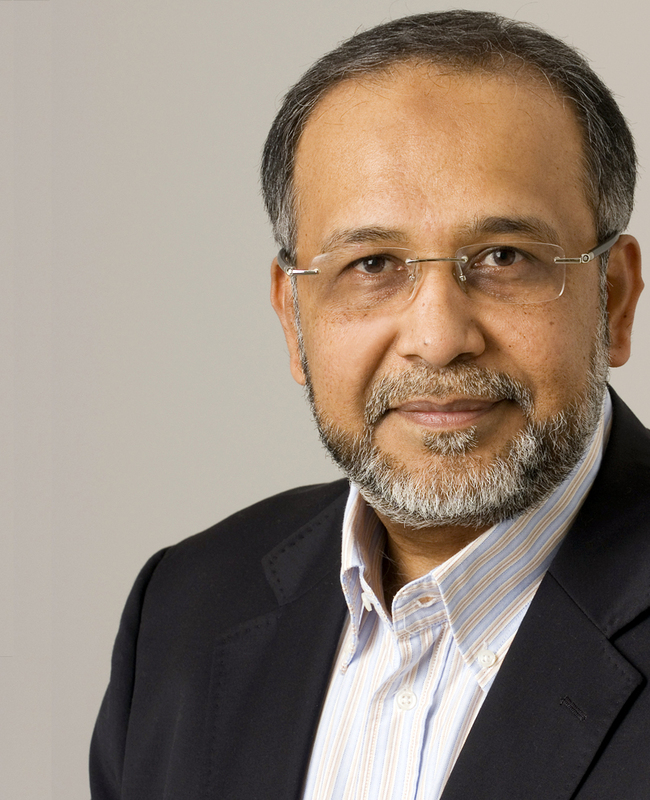 Abdul is an entrepreneur, innovator, and visionary who has over 30 years' experience in the technology, satellite communications & digital advertising industries and has been involved in several ground breaking projects within these sectors. INITION is a technology innovation agency specialising in the development of immersive, installation-based experiences We bring great content to new technology platforms including virtual reality, augmented and mixed realities. CSR foundation focused on delivering affordable remote access education to some of the 58 million children across the world who are denied the right to learn. Designed & implemented Dubai's first real-time digital information display at the Dubai World Trade Centre. Partnered with DWTC to create the region's largest indoor advertising digital display network. Initiated a partnership with Amscreen in the UK, to create large Digital Out of Home (DOOH) networks with over 1,000 Amscreen installations in the Middle East & Africa. Solar Powered Advacnved Rural Communication and Rural Internet Kiosk initiatives to provide access to disadvantaged communities, through solar powered mobile Internt kiosks. Established one of the first Internet via- satellite services in Kenya. Intersat is now one of Africa's leading providers, with networks and partnerships across 32 countries. Developer of TouchScreen Kiosks and Human Interfaces for rural computer literacy and bridging the digital divide. Installers of Satellite TV and agents for Multichoice Africa. Launched Africa's first Digital TV network (DsTV). One of the few local manufacturers of footwear in Kenya. Started the trend of canvas fashion shoes for the young generation.. Designers and Makers of Bespoke Footwear. Handmade leather and fabric shoes for special occasions. I am blessed to have had the opportunity to fulfil my information goals. Post Graduate Diploma in Business Administration - University of Leicester, England. One year course in business growth and management. Diploma from South Fields College of Further Education, Leicester, England. Two year course in footwear design, technology and manufacture. Allidina Visram High School, Mombasa, Kenya. Passed Kenya Certificate of Education Exams with distinction. 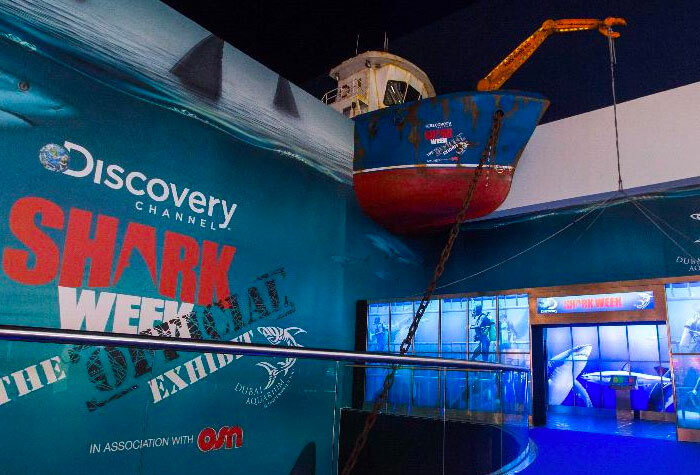 From designing and building Discovery Channel's first ever Shark Week Exhibit at the Dubai Mall to building the world's first Virtual Reality Zoo at the Dubai Aquarium, to designing and implementing the media delivery system for the largest, triple world record breaking OLED display at the Dubai Mall, our concepts are cutting edge and lead the field. 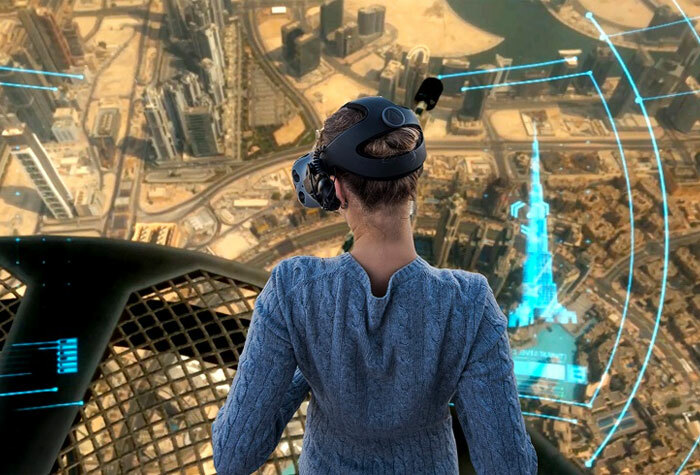 A crowd-pleasing virtual reality (VR) experience that takes users on a thrill-packed, height-themed spy mission at Burj Khalifa – the world’s tallest structure and UAE’s must-visit tourist attraction. Experience the real thrill of the wild and get up close and personal with the world’s most amazing animals. 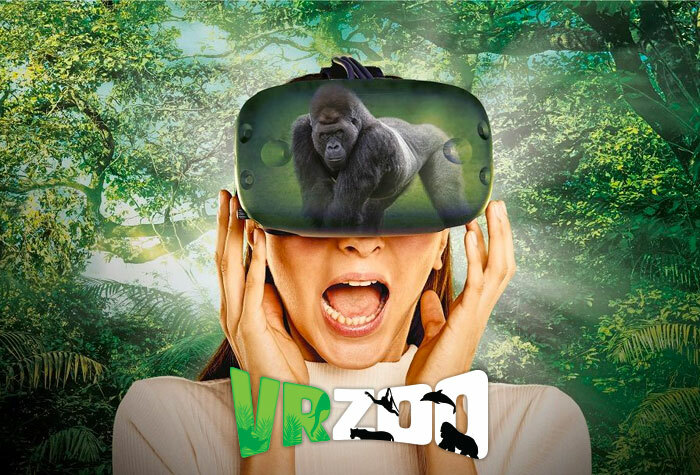 All in Virtual Reality at the world's first VR Zoo. LG commissioned DigiComm to design the systems integration and media delivery for their revolutionary project of building the world's largest OLED display at the Dubai Mall. The display on its launch in August 2017, holds three Guinness World Records. DigiComm was honoured with an award for 'Best Use of Display Solution' at the AV Technology Awards in Amsterdam in February 2018 for this project. A crowd-pleasing virtual reality (VR) experience that takes users on a thrill-packed, height-themed spy mission at Burj Khalifa – the world’s tallest structure and UAE’s must-visit tourist attraction., ullamco craft beer. Please fill out the form below or email me directly if you wish to discuss any project, or if you just want to meet up for coffee! I am always keen in discovering new friends all the time. I am not very frequent in updating social media so the best way to effectively communicate is always by emaiil or phone.